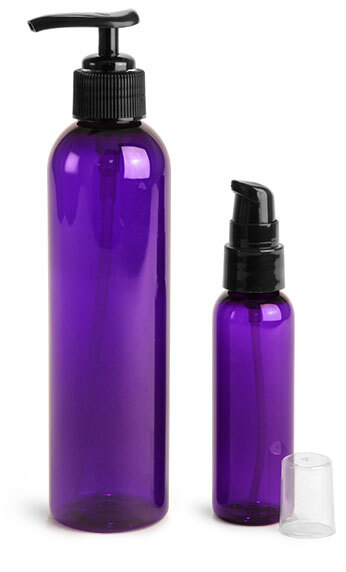 Our purple PET plastic bottles could be an ideal container for packaging a variety of hair care products. 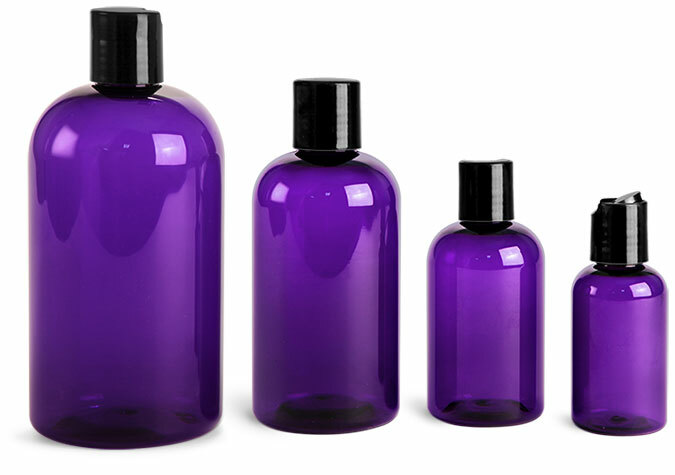 The purple PET plastic bottles with disc top caps could be a great option for packaging shampoos or conditioners. 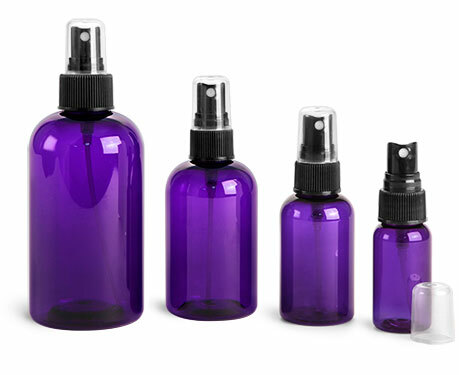 Try using a smaller sized purple PET bottle with a fine mist sprayers for packaging sea salt spray, leave-in conditioner, or heat protector. 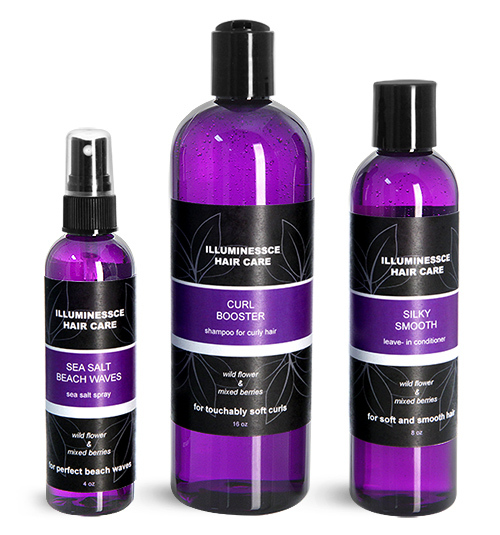 With a wide variety of cap options and sizes you are sure to find the perfect purple bottle for packaging your full line of hair care products.